Students practice making three basic forms and then use them to create a standing animal. 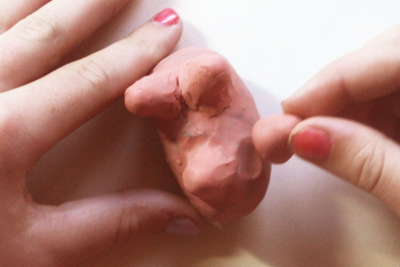 Gather a variety of tools for creating texture and joining the modeling clay. You may want to make a pin tool by taping an open paper clip to the end of a pencil, and a gouging tool by taping a paper clip to the end of a pencil. Other useful tools are a garlic press, comb, skewer and toothbrush. 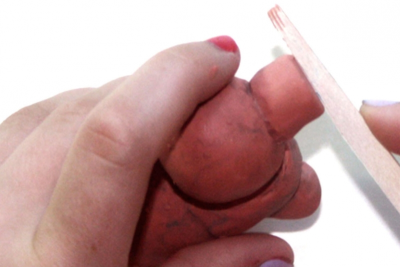 Press the modeling clay pieces firmly to each other. Use a stick or your fingers to blend the joint to make it stronger. Roll a ball for the head. Join it firmly to the body. Make a short cylinder for a snout. Attach it to the ball. Use a stick to cut through the middle of the snout. Open the mouth and round the edges. Add a nose (ball) and a tongue (small flattened coil). Add texture and other details to make your animal unique. Make sure your animal looks good from all directions. Express opinions about the works. Prior to this lesson you may want to have students learn basic skills with the techniques lesson on this website. Place students in groups so they can share modeling clay and tools. Gather plastic placemats one for each student. 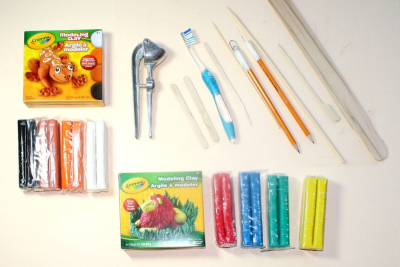 Gather various texture making tools such as garlic presses, skewers, toothbrushes, combs. 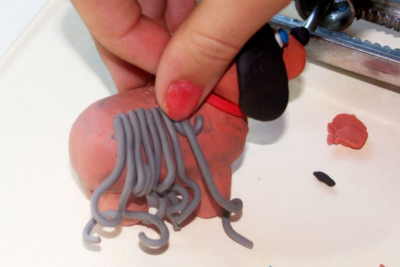 ​Ask how many students have worked with modleing clay, and what they know about it. 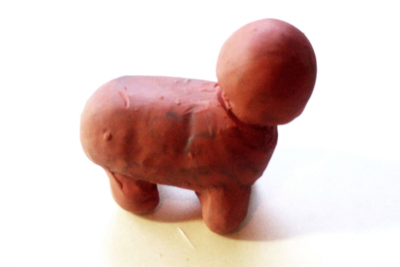 Explain that they are going to learn how to make a standing animal using the modeling clay and three basic forms. 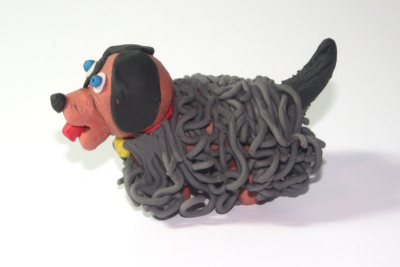 Make a ball, coil and cylinder out of modeling clay. 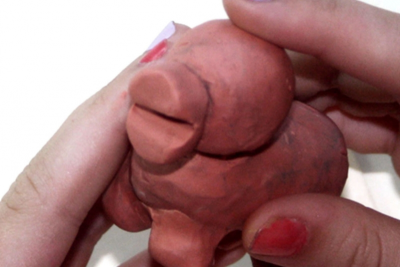 Use the basic forms to create an imaginary animal. 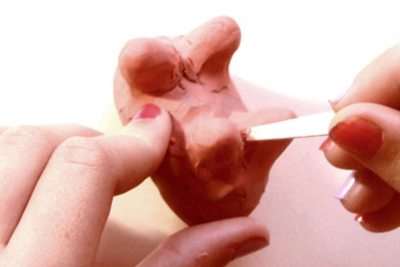 Join pieces of modeling clay using the blending technique. Use texture to add interest to the animal. Demonstrate how to create the 3 basic forms. When most students have created the basic animal, stop the class and demonstrate/share ideas about how to create texture with the various tools. - Compare their work and describe to each other what they did to get certain effects. - Discuss the personalities of each animal and what they see that makes them think that. - Consider how using basic forms contributed to their ability to make a standing animal. - Talk about was difficult and what was easy for them. Ask them to tell how they felt about doing this activity.